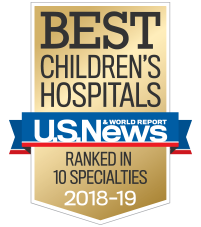 Children’s is dedicated to making the kids of Cobb better today and healthier tomorrow by offering outpatient services, like orthopaedics and orthotics and prosthetics. Children's at Marietta, located on White Street in Marietta, specializes in addressing the needs of children and teens. Our office is located in Suite 200. Clinic visits are by appointment only. By appointment only. Monday to Friday: 8:30 a.m. to 5 p.m.